When you need a certified company to handle water damage cleanup & repair services, look no further than PL Builders. Our licensed technicians are available 24/7 to perform sewer backup cleanup, water damaged ceiling repair, flood recovery services, and any other Perris CA water damage restoration needs you may have. We pride ourselves on fast arrival time, friendly, knowledgeable, certified technicians, and professional results that return your home or business to the condition it was in before water damage occured. Contact PL Builders now for all of your Perris CA water damage restoration, water damage cleanup & repair service needs. And Any Other Perris CA Water Damage Restoration, Water Damage Cleanup & Repair Services You Need! Because a member of our time is on call around the clock, you can count on PL Builders to arrive quickly and immediately begin water damage cleanup & repair services. Within about an hour, a technician is on scene, taking inventory, performing safety assessments, and establishing barriers and other measures to prevent further damage to your home or business. From there, we handle whatever water damaged ceiling repair, sewer backup cleanup, flood recovery services or other Perris CA water damage restoration needs that may be required. Call PL Builders at (951) 228-0733 now or contact us online for flood recovery services, sewer backup cleanup, water damaged ceiling repair, water damage cleanup & repair & Perris CA water damage restoration, smoke & fire damage restoration, and board up services. 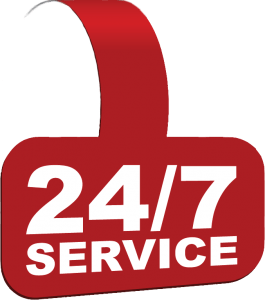 PL Builders is on call 24/7 for your restoration needs in Perris, Corona, Riverside, Murrieta, Menifee, Beaumont, San Bernardino, Yucaipa, Moreno Valley, San Jacinto, Hemet, Temecula, Lake Elsinore, and other areas in and around Inland Empire.